Even though Tamil Nadu is known for its historical sites and ancient temples, it is still visited by millions of nature lovers and adventure seekers every year due to the presence of several natural places. Unknown to many, Tamil Nadu houses hundreds of hill stations and thousands of forest regions, thereby, making it one of the richest parts of South India with respect to diverse vegetation and wildlife. Kurangani is one such place in Tamil Nadu which harbours the rarest of natural beauties. It is popular amongst locals for its pleasant environment and calm surroundings and hence, it is a must-visit spot during the summer season. So, what do you think of planning a trip to Kurangani in Tamil Nadu this season? Read on to know more about this gorgeous expansion of nature. 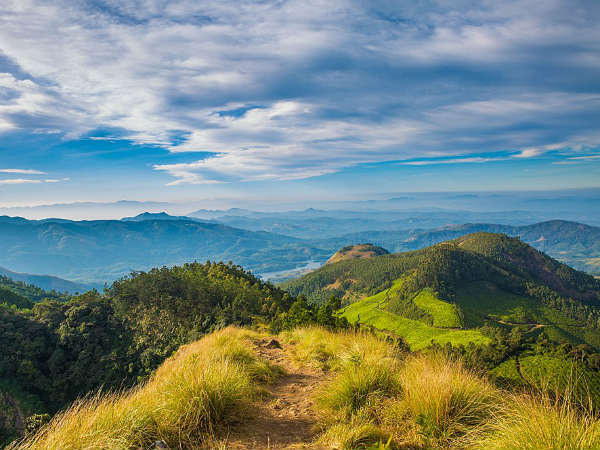 Being a part of the Western Ghats, the climate of Kurangani remains cool and pleasant throughout the year and hence, it is a year-round destination. However, if you are looking to enjoy the best of its environment, then October to June is the best time, as during this period you can find the beauty of the green surroundings at its peak. Kurangani is located in the Western Ghats near the beautiful town of Bodinayakkanur, from where you can easily access this hidden hill station. It is known for its fresh atmosphere where you can assuredly feel the essence of raw nature through an alluring ambience. The region of Kurangani is also rich in wildlife and hence, you can also spot several species of gaur, wild deer, leopard and tiger. Kurangani is home to six small streams which make its valley look more photogenic. These streams, later on, merge into Kottakudi river. You can also capture the beauty of coconut and coffee estates. Apart from exploring its rich and deep corners, you can also visit other beautiful stoppages located in its vicinity. Kolukkumalai Hills and Munnar Hills are other nearby hill stations which will certainly interest you as they nurture the world's highest tea plantation. Other places to visit include Samabalaru Falls and Kottakudi river. Being a hilly region covered with lush green meadows, you can also go trekking, camping and hiking here. Kurangani is a perfect place for nature walks as well as photography. The views of its surrounding hills at the time of dusk, when the sunrays get filtered through dense woods, certainly deserve to be witnessed. By Air: The nearest airport from Kurangani is in Madurai at a distance of about 100 km. Once you have reached the airport, you can either hire a cab directly to Kurangani or you can catch a bus to Theni and then from there you can take a cab or auto rickshaw to Kurangani. By Rail: The nearest major railhead is also situated at Madurai and hence, you can catch a direct train to Madurai railway station and then from there, either a bus to Theni and then a cab to Kurangani or a direct cab to Kurangani. By Road: Kurangani is well connected to nearby places by road and hence, it is easily accessible. However, being a hill station, you can find several irregular paths which four-wheelers cannot access properly. Therefore, you need to plan everything while heading towards Kurangani.